I know. Cheese. It’s the only think that separates you from vegan, right? Well, this will certainly help bridge the gap. 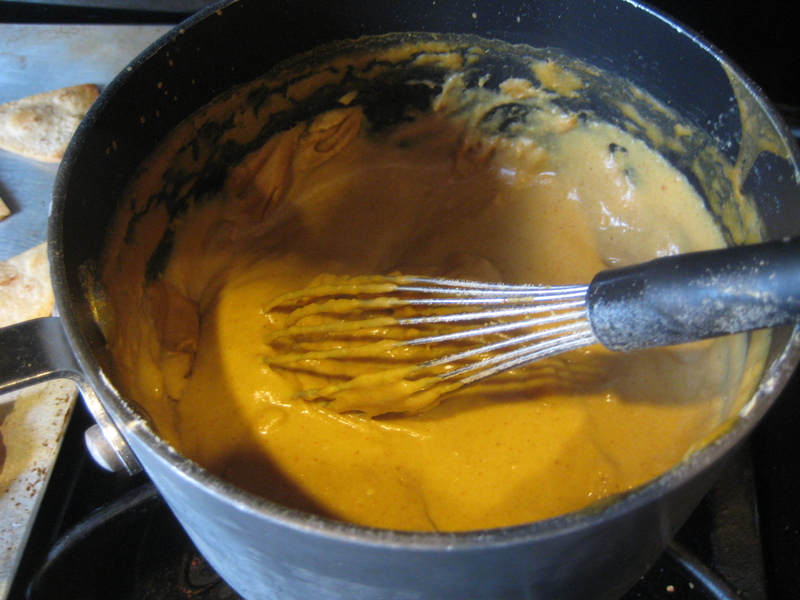 Faux nacho cheese. I’m not a huge fan of nutritional yeast, it sorta weirds me out and it’s super salty, but I put fear aside for the sake of cheese-sperimentation and well, I’m super glad I did. This Happy Herbivore meal plan cheese sauce could make just about anything taste good; however I chose a homemade corn tortilla chip with sea salt to complete my cheese taste test. I doused my chips in black beans, olives, this sauce, onion, and some hot sauce, and it felt so, so dirty and wrong, yet I knew it was so right. Give it a try for yourself. This sauce also reheats nicely and would taste killer on some whole grain macaroni for a quick mac and cheese fix. Whisk all ingredients together in a saucepan. Bring to boil over medium heat, stirring often. I could eat tacos every. single. day. Honestly. Tacos as we know them in the Wonderful residence, typically are born from whatever is leftover in the fridge, or what can be tossed together before it goes bad in the fridge. I had a few onions that were about to sprout and take over the cupboard, so I used those for the base of these tacos. PS: anything on a tortilla tastes good. Knock yourself out in your own kitchen. Saute onions in olive oil until transparent or bronzed. Add smashed or cubed butternut squash and black beans to this mix along with all spices. Warm through. Serve on a tortilla. I bought this really great loaf of bread of a few days ago when I was in Holland at Pereddies. The rosemary salt loaf has been a guilty pleasure of mine for many years. The inside is just barely cooked through so it’s still a little gooey, and the outside is crunchy and salty, like a pretzel almost. It’s a perfect food. However, one can’t, no wait, shouldn’t eat just a loaf of bread for dinner, right? It is probably frowned upon. As I am a total slacker in the grocery shopping category right now, I had limited foods in the fridge; however, out of necessity/laziness, a red sauce was born…a little of this…a little of that and you have a pretty tasty red sauce for pasta or just bread dipping…I won’t judge you. In a pan with a significant edge (think saute, sauce, or dutch oven), saute the sliced red bell peppers and the shallots until roasted over medium high, nearly caramelized. Add all other ingredients and bring to low boil. Cover, turn heat down to simmer and forget about this dish for about 20 minutes. Remove from heat and place 1/2 to 3/4 of sauce mix into blender and process until smooth. Return blended sauce to pan, stir to combine. Serve over pasta, spaghetti squash, gnocchi, etc. Freeze remaining for up to 6 months. I might judge you if you don’t cut off the little dry nubs at the end of the garlic cloves before using…so you probably should. I’ve always had this hangup, this thing, this annoyance with garlic. When it comes right off the bulb, the little clove has one delightful and beautiful smooth side and then this incredibly gross, haggard, dry, crackled side that makes me hate it. I cut that piece off every, single, time. You should too-it creeps me out. Because there is NO way you are sick of pumpkin yet, right? This recipe is a blend of 3-4 Spark People recipes for pumpkin pancakes. The combo of baking soda and baking powder give you fluffy and lighter pancakes despite the heavy pumpkin and whole wheat flour (you could sub white too I suppose). Combine soy milk with the tsp vinegar in a separate bowl. Give it 5 minutes to curdle – you have just created vegan buttermilk. Stir together pumpkin, spices, water and soy milk in mixing bowl. Add in remaining ingredients and stir JUST UNTIL MOIST, NO LONGER or your batter will become flat, dense and lifeless, like your ex-husband. Let sit 5 minutes to rise and lightly stir again. Let rest 5 more minutes and cook them up as you would regular pancakes. I went on a juice fast about a month ago for five very, very long days. Now, I wasn’t a huge fan of not chewing any of my foods, but I do love smoothies regularly. 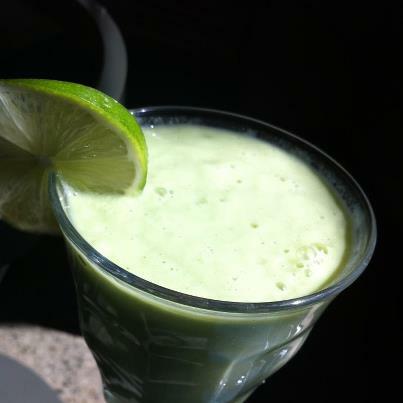 Here are a few recipes I came away from Sip with for Green Smoothies. I was reading “A vegetarian or vegan may show up at your cookout. Do not be alarmed” and it got me thinking about the perils of parties for vegans/vegetarians as well as the stresses of having someone show up at your house and you don’t know exactly what to cook for them. Let me tell you what stresses me out. People who have parties that are worried about cooking for me. I know, you are already freaking out about me visiting your house and how it affects your menu. So I’m telling you to not worry, at all, about me. Don’t get me wrong, I appreciate the fact that a handful of hosts have thought about my dietary choices, but let me let you in on a little secret about vegans: we are already full OR are bringing our own dinner. No matter what you do. I’ve been putting fear in the hearts of many hosts for many years. I’ve been a vegetarian for a long while but only recently, in the last 1-2 years have I made an effort to cook vegan at home. I tell my friends at VeganGR, that I’m vegan-ish. I try to eat vegan all of the time, but I am not always successful. So, I will say that as a rookie veg, I have shown up to a few BBQ’s with a humble side dish and hope for the best, but that is just silly. Why should you go out of your way as a host to make a veg main dish materialize? That’s a lot of effort to learn a new style of cooking, and frankly, I mean this in the nicest way possible, you probably won’t get it right anyway. There are so many people with varying dietary needs out there: Gluten Free, Gluten Free Vegan,HFC S Free, Vegan, Organic, Vegetarian, Pescetarian, Dairy-Free Omnivores, Raw, people with food allergies that you are never going to get it right dead on without far more effort than any of us “weirdos” actually expect. We are used to fending for ourselves. Really. So while I really appreciate the effort. Focus on having a stress-free time as a host-worry about the guy who will complain about his burger being overdone or steak underdone and by all means, the chicken…please cook that through and don’t let the juices contaminate the whole party. You have enough to worry about. You are already providing us with beer (I hope) and a venue in which to gather with our friends. Vegans are typically very, very skilled at ferreting out scraps and bites to eat here and there…also, you can rest assured we will have brought something delish to share that your meat-eating friends will also like. Plus, you have always wanted to try that Seitan/Tofu/Tempeh thing anyway…so I’ll treat it like an educational project if you are willing to try something new. I’ll craft something delicious to share, have already eaten in preparation for limited noms, or I’ll just drink the night away with these here potato chips and rolls. So, my dear friend, thank you for hosting, chill out and please be sure to buy some craft beer. While I won’t complain about the food…I will certainly complain about there only being Bud Light in the cooler. Measure coconut into a small bowl and stir in 1 tbsp warm water and 2 tbsp sugar; set aside. In a large bowl, whip the butter until fluffy, add sugars and cream together until smooth. Add applesauce and vanilla and beat. In a medium bowl, sift together the flour, powder, soda, and spices. Add to wet ingredients and beat until well mixed. 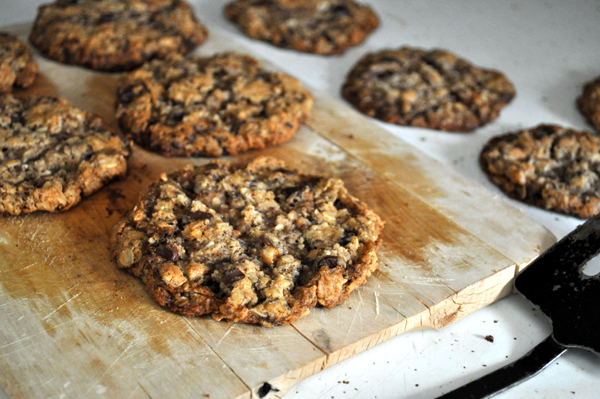 Fold in the coconut, nuts, oats and chocolate chips until evenly distributed. Use an scoop to form balls of dough for jumbo cookies, and flatten slightly. Bake on greased sheets for 10-12 minutes, or until golden. 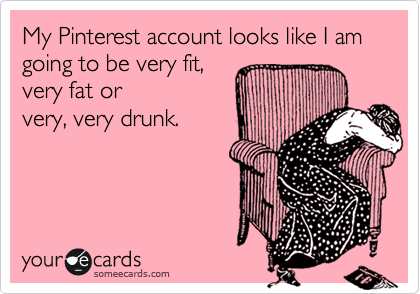 I’m a Pinner. I love Pinterest for recipes among many other random things. Not only do veg/vegan recipe creators have a wicked presence on Pinterest, all of the nonveg/nonvegan recipes just beg to be converted, so I take that as a personal challenge. This recipe for example was vegetarian, contained hen’s eggs and moo-cow whole milk yogurt. I just subbed the regular vegan swaps and it came out delish. So much so I took it to my family reunion where every one thinks I sustain life being vegan-ish on grass and dirt. Not so family, not so. Show everyone how normal we are by serving this at your next gathering. 1. Preheat the oven to 350 degrees F. Grease bottom and sides of one 9 x 5-inch loaf pans; dust with flour, tapping out excess. 2. In a medium bowl, sift together flour, baking powder and salt; set aside. 3. In a large bowl, whisk together the soy yogurt, sugar, flax eggs, lemon zest, vanilla and oil. Slowly whisk the dry ingredients into the wet ingredients. In a separate bowl, mix the blueberries with the remaining tablespoon of flour, and fold them very gently into the batter. 4. Pour the batter into the prepared pan and bake 50 to 55 minutes, or until a toothpick inserted in the center of the loaf comes out clean. Let cool in the pans for 10 minutes before removing loaf to a wire rack on top of a baking sheet. 5. While the loaf is cooling, make the lemon syrup in a small saucepan over medium heat. Stir together the lemon juice and sugar until the sugar is completely dissolved. Once dissolved, continue to cook for 3 more minutes. Remove from the heat; set aside. 6. Use a toothpick to poke holes in the tops and sides of the warm loaf. Brush the top and sides of the loaf with the lemon syrup. Let the syrup soak into the cake and brush again. Let the cake cool completely. 7. To make the lemon glaze, in a small bowl, whisk together the confectioners’ sugar and 2-3 tablespoons of the lemon juice. The mixture should be thick but pourable. Add up to another tablespoon of lemon juice if the mixture is too stiff. Pour the lemon glaze over the top of each loaf and let it drip down the sides. Let the lemon glaze harden, about 15 minutes, before serving. 8. This made quite a bit of batter. You might consider dividing it into 2 smaller loafs depending on the size of the blueberries you mixed into your batter to avoid spillover in the oven, which is precisely what happened to my first loaf. I’ve been asked for this recipe at least a dozen times in the last few days. Here is a re-post of Pepper Jelly. Turns out, I can grow jalapenos. Lots of them in fact. I picked most of them today, grabbed a few red bell peppers from the Fulton Street Farmer’s Market, gloved up, and started chopping. I make a few batches of this so that I can gorge myself in the summer, and then later I get serious about storing 6-8 jars for holiday gift giving, and/or unexpected guests fa-la-la-la-la-ling up at my house and me with nothing to serve. This makes a great show off appetizer in the dead of winter with a cream cheese base, served over a cracker. Summer on a wheat thin. 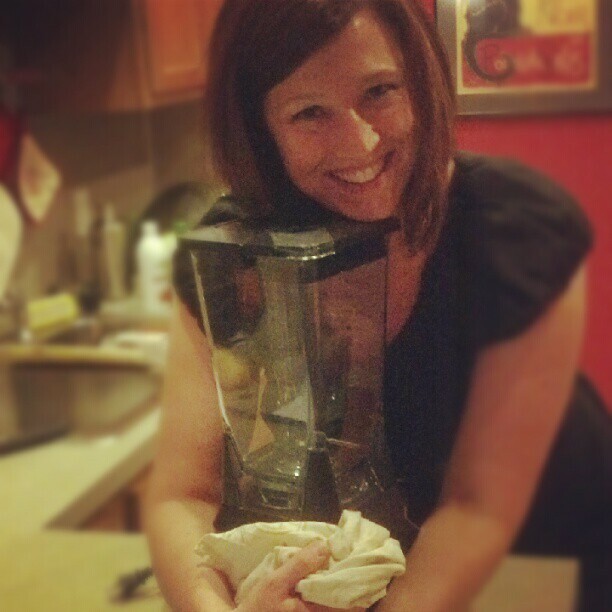 Plus, you look all Betty Crocker-like for having something preserved (ohhhhh, ahhhhh) on hand. It’s a win-win. I modified this recipe from my friend Lins Ray’s recipe. Chop all peppers into a really, really small dice removing seeds and most of the white vein inside the peppers. Wear two sets of latex gloves for this task, you will thank me later. Combine the lemon juice, peppers, vinegar and sugar in a large pot and boil for 15 minutes stirring occasionally, keep an eye on this as it will start to boil, then boil over like spaghetti does without any warning, then you are dunzo. Add liquid pectin, boil 3-5 minutes more. Remove from heat and allow to cool slightly. Spoon into jars or plastic containers, do not fill to top. When this freezes like all other liquids it expands. Full to the brim means a crack and loss of your precious jelly. Store in freezer for up to 6 months, if it lasts that long. DO NOT ATTEMPT TO MULTIPLY OR DIVIDE THE RECIPE. For whatever reason, when you make jam, doubling or dividing the recipe results in utter failure. Period. To serve, pour thawed jelly over a log of cream cheese for a treat on crackers. I have also, in a bind poured this over tofu “meatballs” in a crockpot and served as an appetizer. The possibilities are endless. Taste it and you will come up with some of your own. Then come back here and post them for the rest of the Interwebs. I hate mayo. I likewise hate Vegenaise and all other mayo-ish related products, so when I saw a potato salad made without mayo-like-products, I jumped at the chance to make it. I also, ate half of this bowl for dinner one night. Yeah, it’s pretty good. The secret to the creaminess is a food processor (or a blender). Prepare this as close to serving time as possible. It can sit for a couple of hours, but anything more than that and the avocado will brown. Likewise, you can’t really store it overnight, so oh darn, you will have to eat it in a few hours. Thanks to Isa for yet another delightfully veganized recipe to share that omnivores won’t balk at. Take it to your next potluck and revel in the fact that you don’t actually need to keep it on ice or worry about being the family member that causes the reunion food borne illness. Cheers! These vegan brownies are gluten free, vegan and totally delicious. They taste like any other brownie you may have met, except have a more complex and deep taste associated with the chocolate, almost a savory sweet. 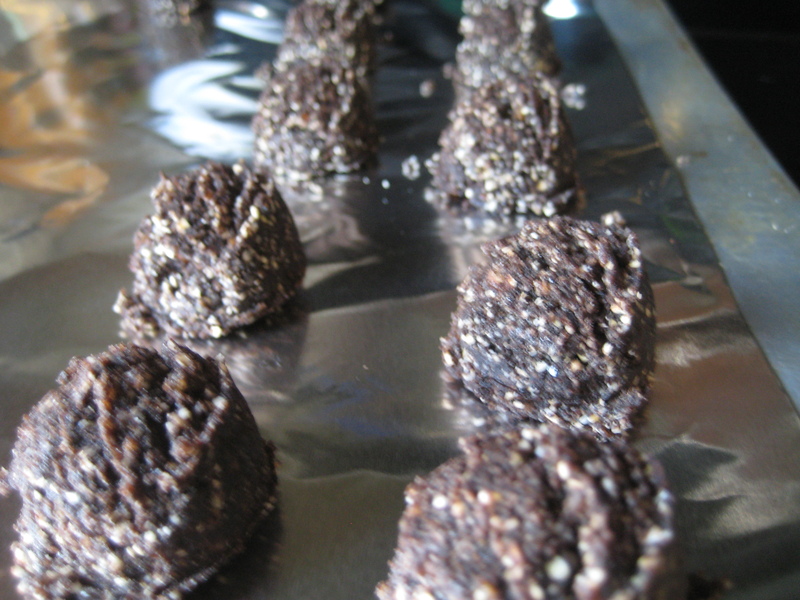 They are also not dry, which is more than I can say for most other brownies I’ve experienced of the non-veg variety. This is another one of those recipes that you may as well just double and bake off another batch for the masses. They freeze well and keep in the fridge for a long time so you can enjoy them longer. Preheat oven to 350 degrees. Lightly grease 6 muffin tins. 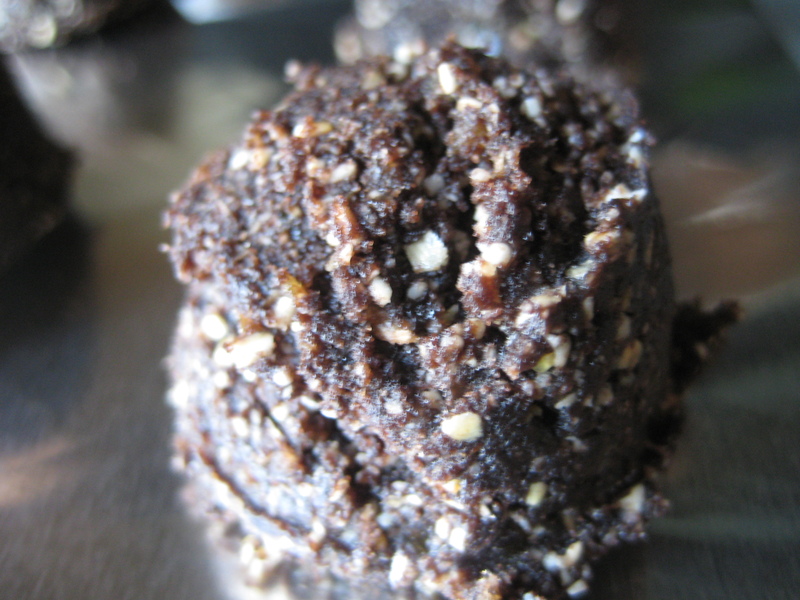 Prepare flax egg by combining flax and water in small bowl and letting it rest for 3-5 minutes. 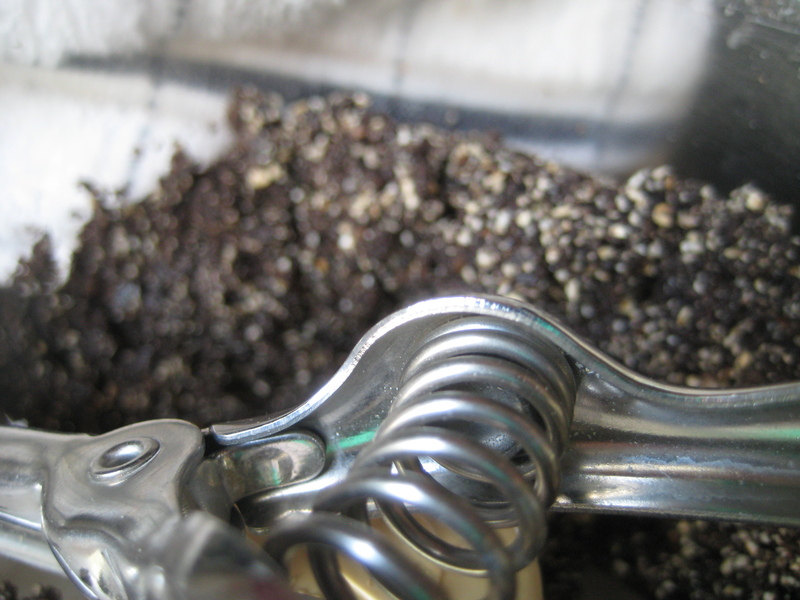 Combine black beans through instant coffee in a food processor (sift in sugar if clumpy) and puree. 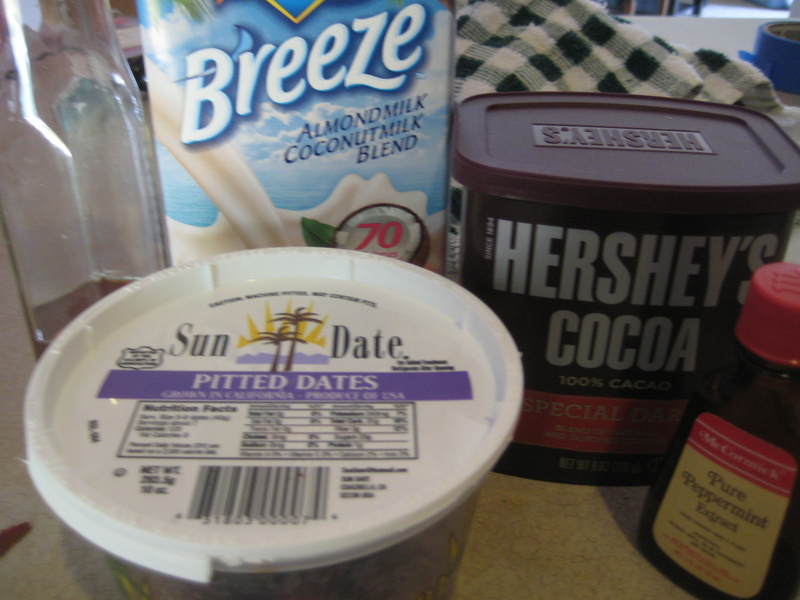 Then stir in chocolate chips. 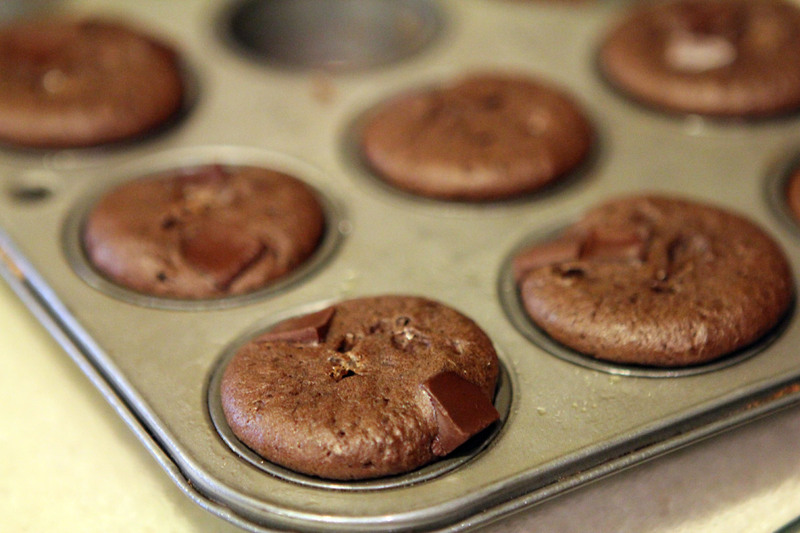 Pour batter into muffin tins and smooth the tops with a spoon. Bake for 17 minutes or until tops are dry and starting to pull away from the sides. Let cool for 30 minutes before removing from pan (I baked mine in cupcake papers so I didn’t have to mess with clean up and I baked another batch in mini cupcake tin form). *PETA happens to have a very good/searchable data base on their website for vegan products to sub for regular products. I understand they are polarizing but they also have the mad money to make tools that are incredible for people searching for animal safe items. Despite the fact that they sell half shirts still (thanks Pamela Anderson), I really like the info they have available on their site. If you just can’t bring yourself to check out the tools, typically you can find Ghiradelli Chips at the grocery store which are accidentally vegan. 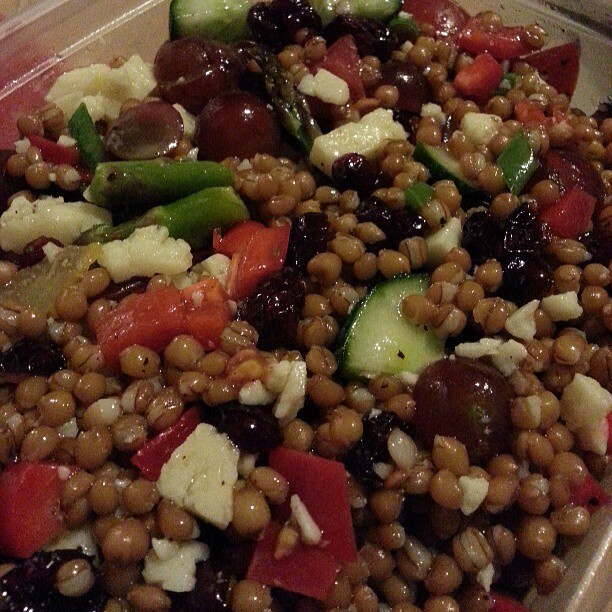 I typically make grains on the weekend to avoid the time it takes to prep them during the week. There is nothing worse than a 30 minute meal, that takes an hour and a half because you need to account for the brown rice to cook. I have gotten in the habit of planning out a week of meals at a time because as you have probably noticed about me by now, I hate the friggin’ grocery store. So I shop once a week, get my CSA’s two times a week and that generally allows me to be pretty prepared for all lunches and dinners for the week. Now sometimes, those made-ahead grains get lost in the back of the fridge. When that happens there is no better time to use up the rest of your CSA, freezer stuff, and pre-made brown rice, than in fried rice. On medium high heat, heat the oil in a large skillet or wok. Add the peas, carrots, edemame, onion, Quorn*, and garlic. Stir fry until tender. Lower the heat to medium low and push the mixture off to one side, then pour your eggs on the other side of skillet and stir fry until scrambled*. Add the rice and soy sauce and blend all together well. Stir fry until thoroughly heated. *To keep this recipe vegan, omit the egg and the Quorn of course. Secondly, add this to the list of retail institutions that Grand Rapids doesn’t have, but desperately needs along side Trader Joe’s, Whole Foods and Ikea. Last, the homemade salsas are amazing…if you get a chance, do a shot of the pineapple-jalapeno, it will change your life. I love the writing and photography skills of LoLo over at Vegan Num Num, but every single recipe I had made of hers up until this point just didn’t hit the mark. That is, until I made this one. The possibilities of substitutions to formulate different stir-fries or other lush take-out tastes from this “mother recipe” is really mind blowing. With this base sauce, choose any plant-based protein really, any veg or veggies, any kind of roasted nut you might have in the cupboard, and serve over any grain you have on hand to create a dish that seems like take out, but is so much more fresh than that neighborhood Thai/Chinese place. Prep: if you are going to serve this recipe over a grain, start it well in advance. This recipe comes together super fast, like it will be done faster than the water boils for your rice. Clean and cut broccoli into bite sized pieces and steam until al dente. Set aside. I prefer crunchy to soggy broccoli any day. Slice the tofu into triangles or small cubes. Smaller = better for this recipe, since smaller pieces won’t have a tendency to break when you toss them, and they have a bigger surface area to volume ratio. You are looking for maximum frying surface value. Toss tofu with the egg replacer/water mixture until coated. Then toss in cornstarch until each piece is coated and dry, adding more cornstarch if needed. Be sure to gently tap to rid yourself of extra cornstarch. Heat oil in a large non-stick skillet or wok. While oil is heating, mix sauce ingredients except for the cornstarch/water into a small sauce pan and whisk over medium heat until sugar and salt is dissolved. Add cornstarch mixture and whisk until the sauce thickens. If you leave the sauce unattended now it will thicken and burn, so keep an eye on it. When thick, turn off heat and set aside. Gently fold your broccoli into this sauce concoction. Place tofu in the hot oil, being careful not to burn yourself. You don’t want the tofu to be crowded or the pieces will stick to each other, so fry it in batches if needed. Fry for 3-5 minutes until golden on the bottom, then gently turn and brown the other side. Remove from oil and place on dry paper towels to rid yourself of the extra oil, you don’t want them to become soggy while waiting for the rest of the parts to come together. To assemble take broccoli/sauce mix and spoon over the crispy tofu, sprinkle peanuts and/or sesame seeds over top. 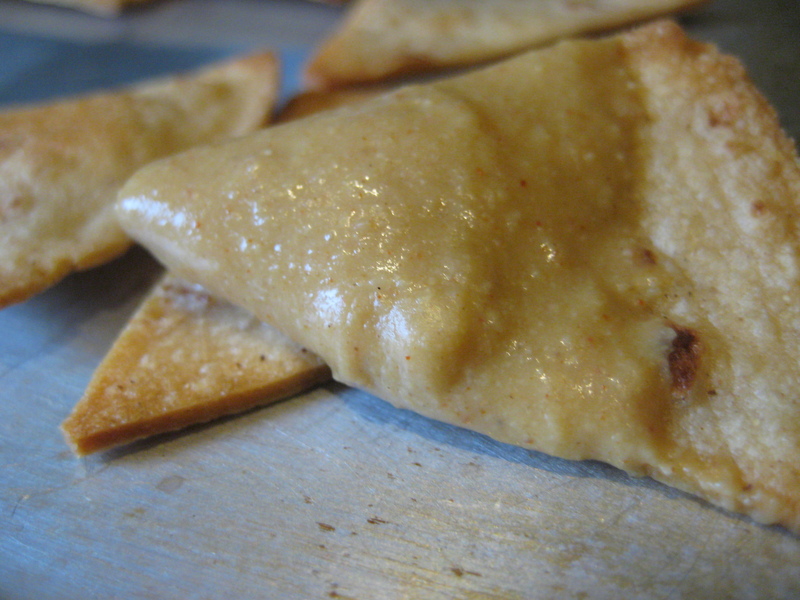 Serve immediately, you want that tofu crisp people! Normally I’d serve over brown rice, but I didn’t heed my own tip at the beginning and started my rice too late for it to participate in this meal. It was still however, amazing. I really, really wanted this to be mind blowing. Sadly it wasn’t. I don’t even have any witty commentary to present about this recipe. If you should choose to make it. Fix it up a bit. As is, Vegan Num Num Bowl is actually, yuck yuck. Sometimes recipes fail to meet expectations. This is one of those recipes. Start cooking your rice. Mix sauce ingredients until smooth (be patient, it’ll look like hell at first) and set aside. Pan fry tofu in the oil over high heat in a non-stick skillet until browned on both sides. Drain and return to hot pan (turn off the heat). Mix soy sauce and mirin together and pour over tofu, mixing well. It will bubble up and form a light glaze. Plate rice, add broccoli, tofu, carrot, and crushed peanuts. Drizzle with sauce and serve. I’ve been on a banana kick lately. Here is the latest feel good pancake recipe in my recipe box. Don’t be put off by the make your own oat flour portion, you just whirl it around in your food processor or blender for a second and voila’ you have flour. In a medium bowl, stir together the mashed bananas, coconut oil, lemon juice and maple syrup. Beat in the eggs. If your coconut oil goes back to its solid state like mine did at this point, just warm the mixture for short 30 second bursts in the microwave, stirring between each, until it is melted again. 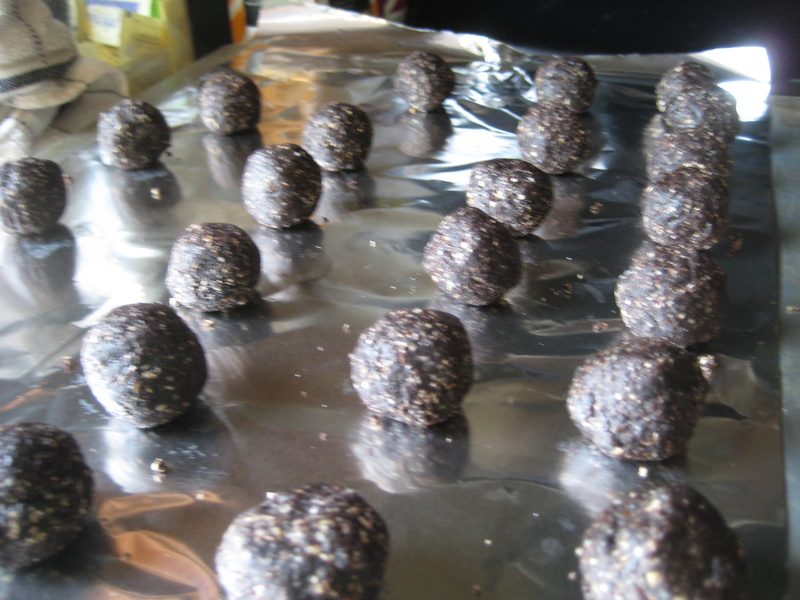 In a smaller bowl, whisk together the oat flour, whole oats, baking soda, salt and spices. Form a well in the center of the dry ingredients and pour in the wet ingredients. With a big spoon, stir just until the dry ingredients are thoroughly moistened. Do not overmix or you’ll run the risk of getting tough pancakes! Let the batter sit for 10 minutes. The book notes that you may want to thin out the batter a bit with a touch of milk or water, I did not. Heat a heavy cast iron skillet (or nonstick griddle) over medium-low heat. If necessary, lightly oil the surface with vegetable oil or cooking spray. Once the surface of the pan is hot enough that a drop of water sizzles on it, pour 1/4 cup of batter onto the pan. Let the pancake cook for about 3 to 4 minutes, until bubbles begin to form around the edges of the cake. When the pan is just beginning to set, flip it with a spatula and cook for another 90 seconds or so, until golden brown on both sides. You may need to adjust the heat up or down at this point. Serve the pancakes immediately, topped with cut up bananas and shredded/toasted coconut, or keep warm in a 200 degree Fahrenheit oven until ready to serve. 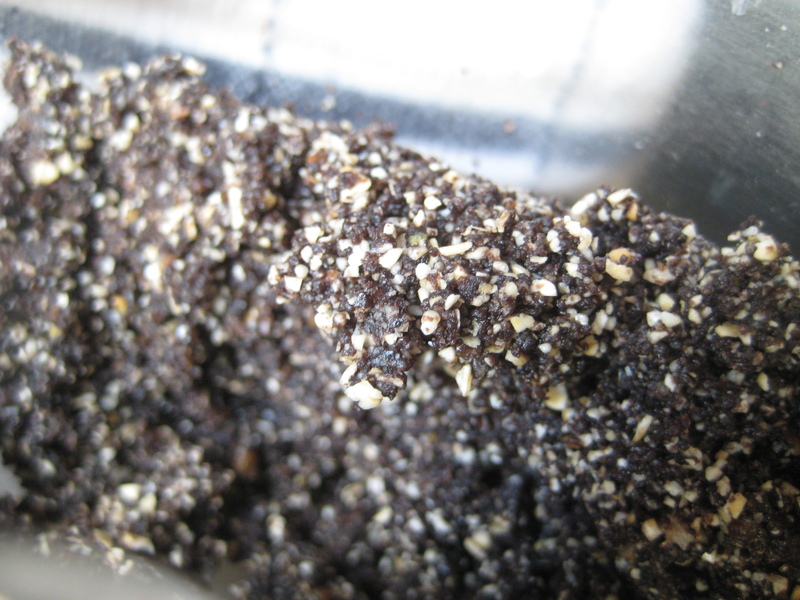 **To make Vegan, substitute your fave egg replacer such as flax in for the eggs.